GKD Mediamesh became the canvas of the modern artist with a significant installation at California State University’s Henry Madden Library in Fresno. 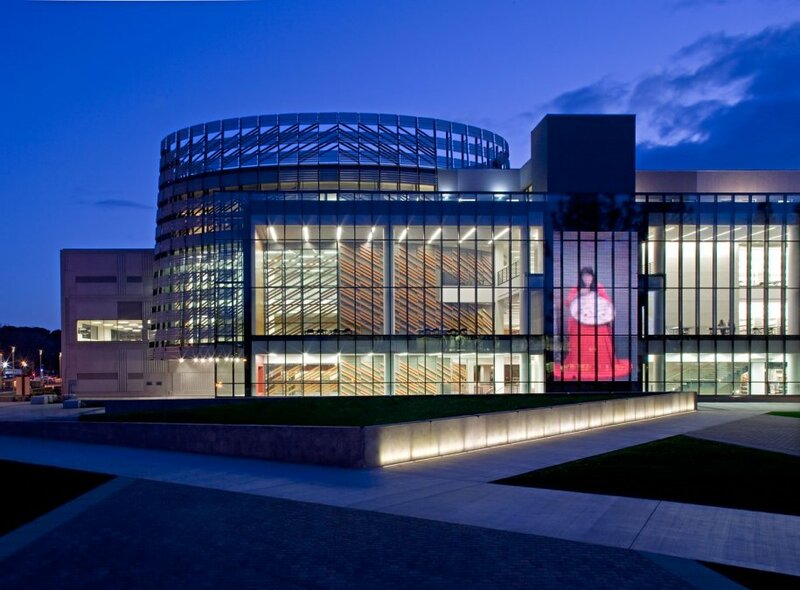 The completion of the 700-square-foot media facade using GKD’s proprietary communication platform technology Mediamesh marked the first installation of its kind in the United States. Mounted behind a glass wall, the media facade is part of an artistic installation carried throughout the entire university building built by AC Martin Partners. 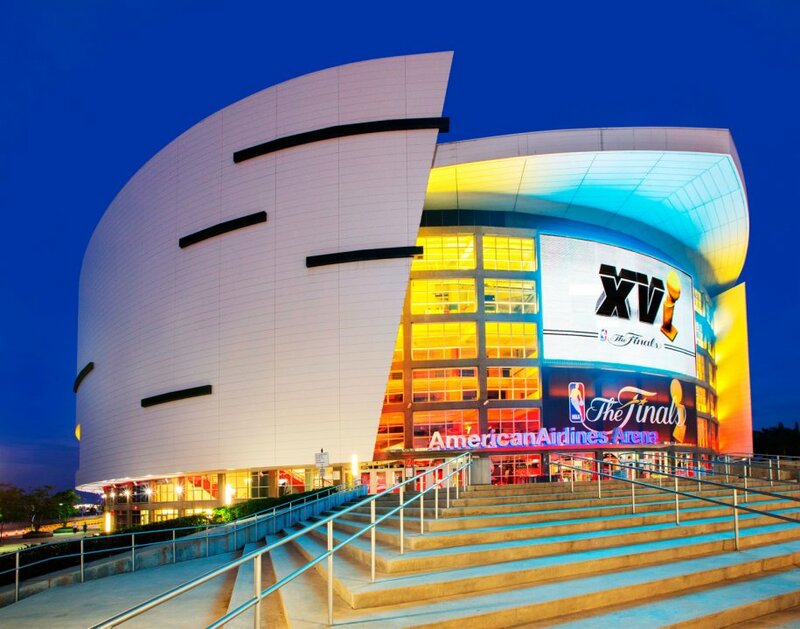 When the NBA’s Miami HEAT Group decided to create a marquee on the exterior of its American Airlines Arena, the franchise wanted something that would not only draw attention to the arena itself, but also transform downtown Miami. Made from 3,400 square feet of a high-grade architectural woven stainless steel mesh fabric with interwoven LED profiles, Miami’s Mediamesh screen, patented by GKD, provides visitors to the Arena with unobstructed viewing from the interior and visually engaging digital media content on the exterior.